Driven by a passion for science, NASA program manager Roger Hunter (BS ’78) supports future STEM leaders by investing in the University of Georgia through planned giving and volunteering. When Roger Hunter (BS ’78) was in high school, he was awarded a scholarship that enabled him to attend the University of Georgia. Today, the alumnus and NASA program manager can think of no better way to pay it forward then to help provide similar opportunities for UGA students. Attending UGA changed Roger’s life. On the day he graduated from UGA, he was also commissioned through the Air Force ROTC program at UGA. For the next 21 years he served in the U.S. Air Force, primarily focusing on space operations. When he retired from the Air Force, he joined the Boeing Company, and worked in its Integrated Defense Systems. For the next seven and a half years with Boeing, Roger directed more than 250 engineers and technicians in sustaining the Global Positioning System (GPS) satellite constellation and its command and control systems. In 2008, NASA recruited him to join its Kepler mission team at NASA Ames Research Center. The Kepler Mission is NASA’s first mission capable of searching the Milky Way galaxy for other worlds that could be potentially habitable. The results from Kepler have been amazing and Roger presented a TEDxUGA talk on that mission at the TEDxUGA event in March 2014. Roger Hunter (BS ’78) recently visited students working in the UGA Small Satellite Research Laboratory. Roger Hunter, a University of Georgia alumnus and associate director for programs at the NASA Ames Research Center, delivered the university’s undergraduate Commencement address in 2014. 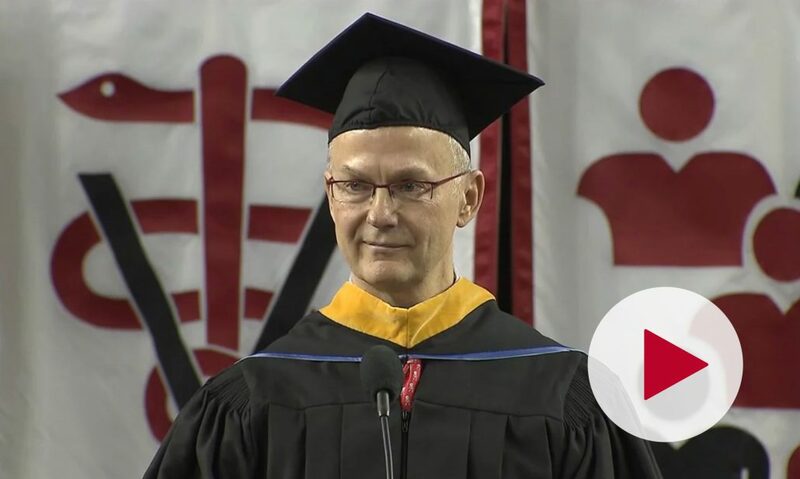 Although Roger’s career has landed him in northern California, 2,500 miles from campus, he has found several ways to remain connected to and supportive of the University of Georgia. In 2013, he helped UGA become the world’s first university to have a planetary system named after it, and in 2015, he hosted UGA President Morehead and other members of the UGA community on a tour of the NASA Ames Research Center. He currently serves on the Franklin College Board of Advisors and on the University’s Board of Visitors. Recently, he established a generous bequest, a planned gift left through his will to benefit the University of Georgia Foundation, to endow the Roger C. Hunter Scholarships for Future Scientists Fund and the Roger C. Hunter Distinguished Professorship in the Sciences Fund. Roger was compelled to establish these funds because of his interest in the STEM fields and their effect on the national economy. “I want to provide the students who also have those interests with the means to apply themselves to their studies. I don’t want them to worry about having sufficient funds to pay for their basic necessities like housing, clothing or food. They can apply themselves to their studies because that is the best investment they can make for all of us,” Roger explained. Roger regularly returns to Athens to share his expertise–and his wonderful sense of humor–with students. In 2014, he served as the undergraduate Fall Commencement speaker, igniting the crowd by opening his address with “quid de illis canibus,” which translates to “How ‘bout them Dawgs” in Latin. 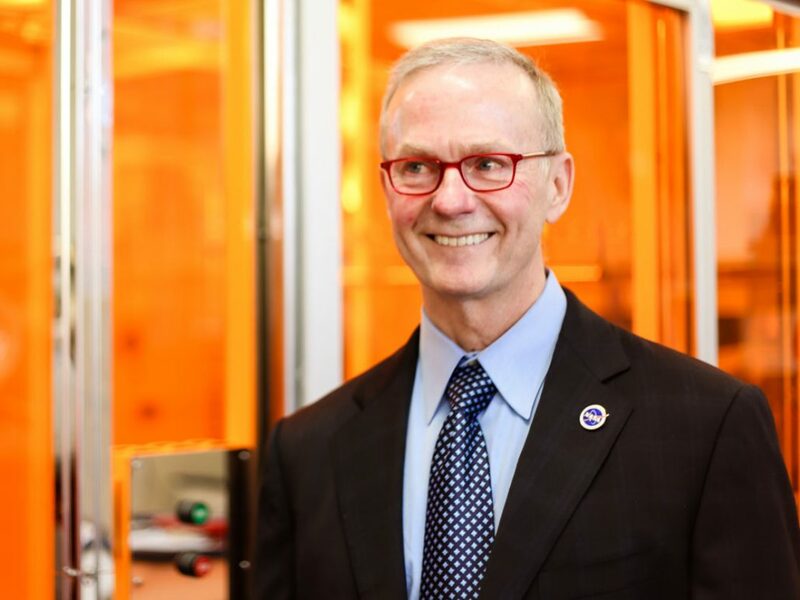 He also visits campus to work with students in the UGA Small Satellite Research Laboratory. The “SmallSat Lab” was established in 2016 with the goal of launching a student-built spacecraft – a Cube Satellite – into low earth orbit. 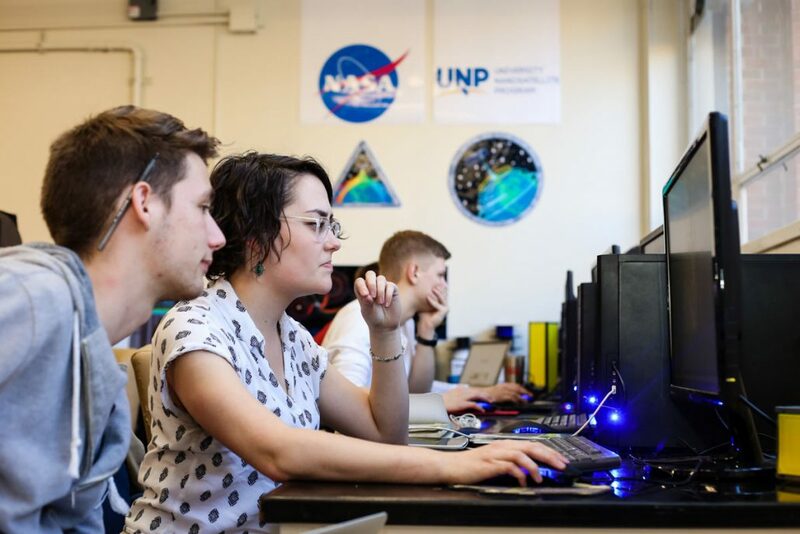 The lab’s mission is to place UGA among the world’s top spacefaring universities, to give UGA a permanent presence in outer space while teaching students how to design, build and operate spacecraft, and to provide faculty with unique space-based data. 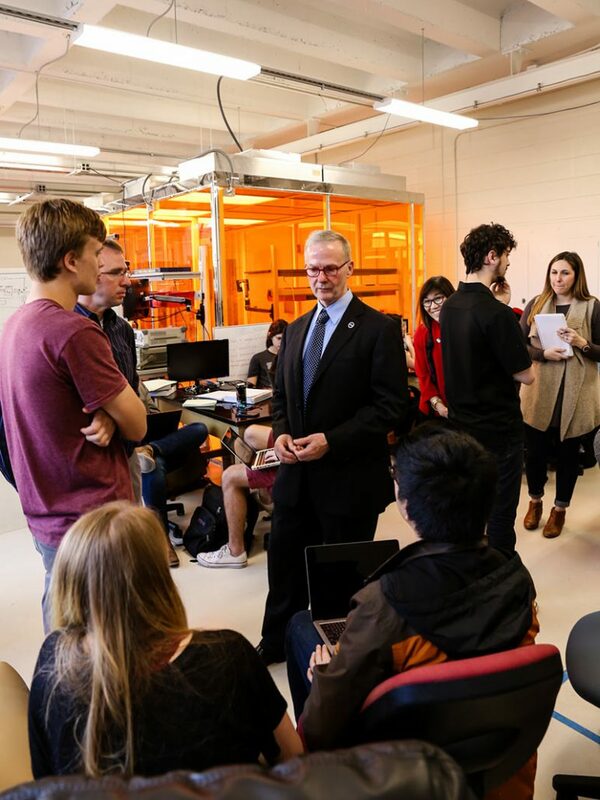 Roger Hunter talking with students in the SmallSat Lab. 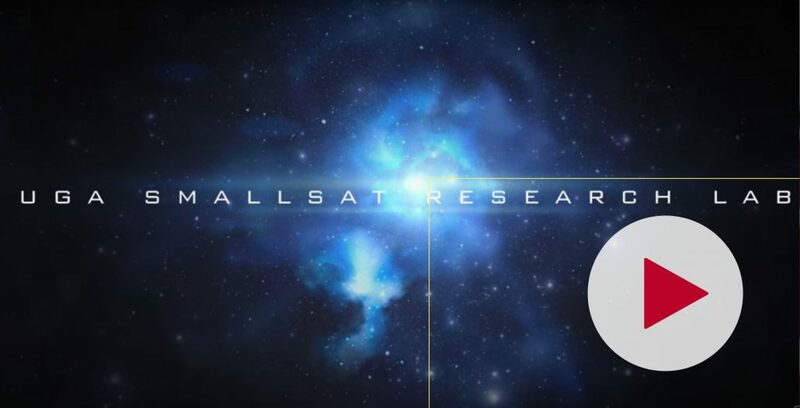 The SmallSat Lab is an undergraduate led research lab, mentored by faculty, with the goals of launching small, inexpensive satellites into space for gathering scientific data and providing experiential learning opportunities for University of Georgia students.